A Donna Wilson Apron with a landscape on a house in the mountains. 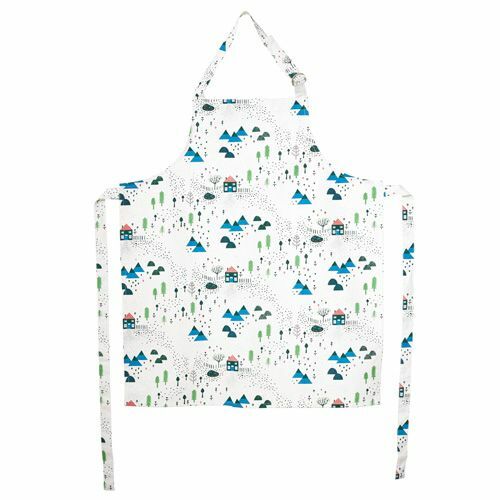 Prepare the most delicious dishes in te kitchen with this apron for the whole family. Make your favorite food in the kitchen with this beautiful apron from Donna Wilson. 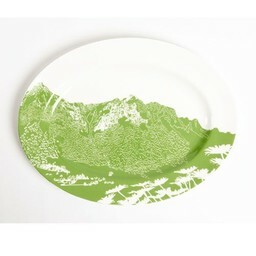 Provided with one of Donna Wilson's creations; mountain landscape. This apron is designed with the hope that more people will cook at home and experiment together in the kitchen! Nice to combine with the matching oven mitt and tea towel. Colour: white, blue and green. Dimensions: 66 x 80 cm.